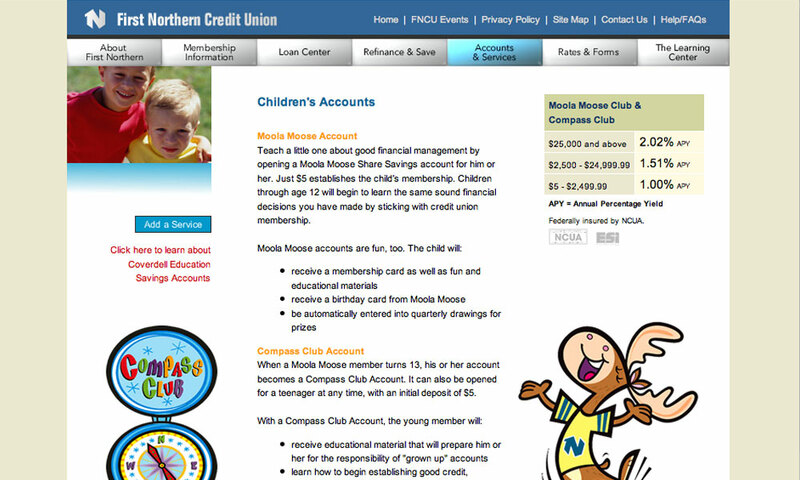 For credit union members, this consumer site is a portal to online banking, and features all the products First Northern has to offer. 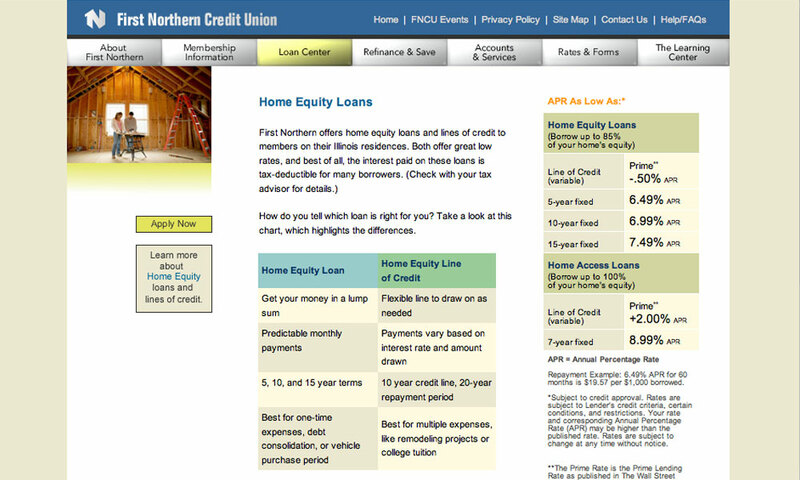 Easy navigation and information management makes this site user-friendly and relevant. A key trend in banking is the offering of virtual branches, and for a smaller institution that doesn’t have a physical branch on every other corner, it’s a must. 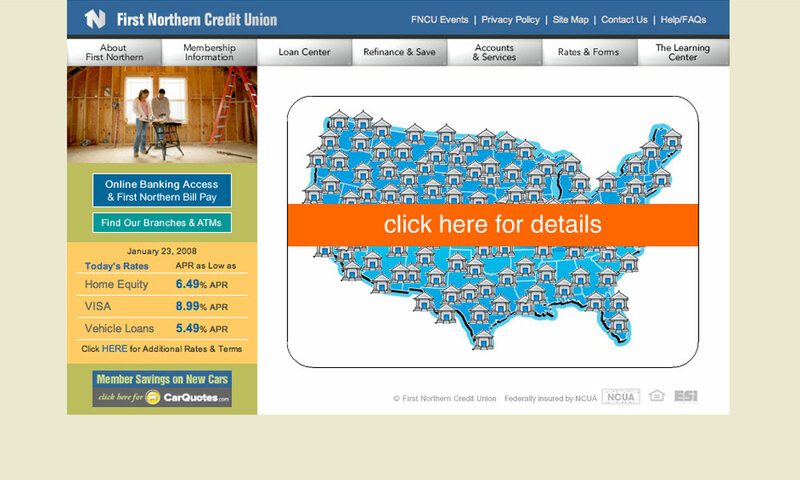 This site, or virtual branch, gives the member nearly every financial piece of information they may need. That’s why BrainShine built CMS into its pages – to keep all information timely and compliant with government regulations. 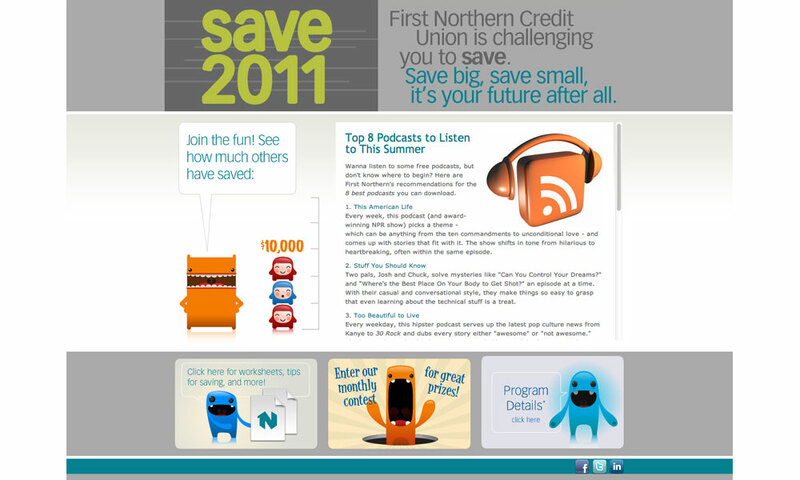 Another feature – brand development tied to current marketing campaigns. 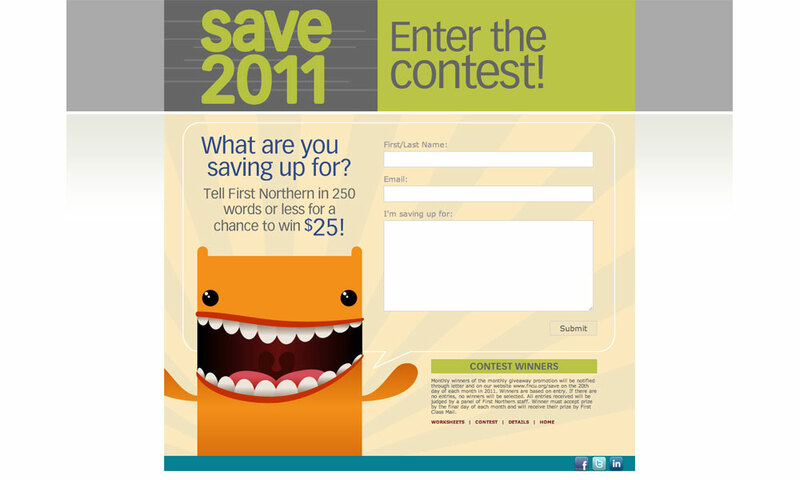 For instance, we produced landing pages, flash modules and banner ads, all tied together to enhance a traditionally advertised (direct mail, TV, radio, print ads, etc.) promotion. These were budgeted for inclusion in nearly every campaign. And with the similar marketing intent, we’ve created specially branded pages (or a site within a site) for select employee groups that are only obtainable with special URLs used in promotional literature. 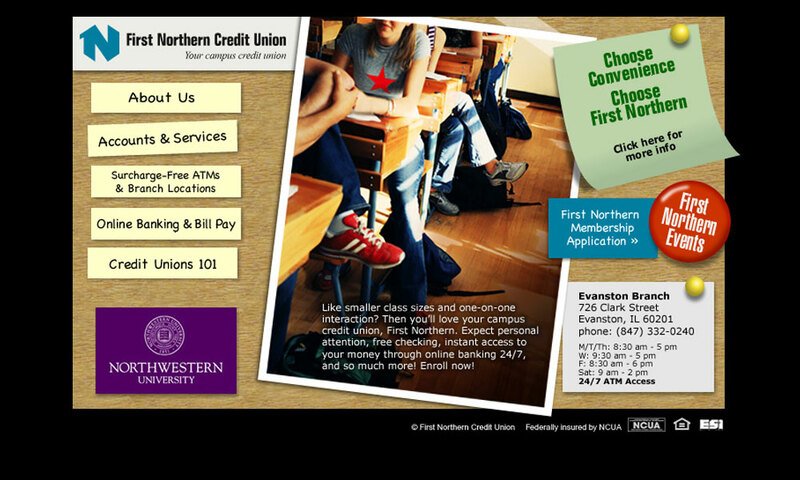 A sample of the Northwestern University branded pages is included here. All this keeps a five-branch institution in touch with its 12-county charter.